Appearance: Dark straw, long thin legs. Nose: Thyme, sage, corn masa, toffee. On the palate: Full-bodied and soft. Sweet caramel, oak, alcohol, sugar cookies. Finish: Hot and sweet. Caramel corn, alcohol, tarragon. Lingers and tingles. Mixed: Use as you would a bourbon or American blend. Makes a very nice Old Fashioned. In a Manhattan and with Benedictine (4:1 ratio on the rocks) makes a mixer-forward but still well-balanced and, most importantly, tasty drink. Parting words: Corn whiskey occupies its own odd little corner in the world of American whiskey. Before the rise of micro-distillers, corn whiskey was a niche product popular in Appalachia and with nerds like me. It is, by law, composed of at least 80% corn but unlike bourbon it cannot touch new, charred, oak barrels. 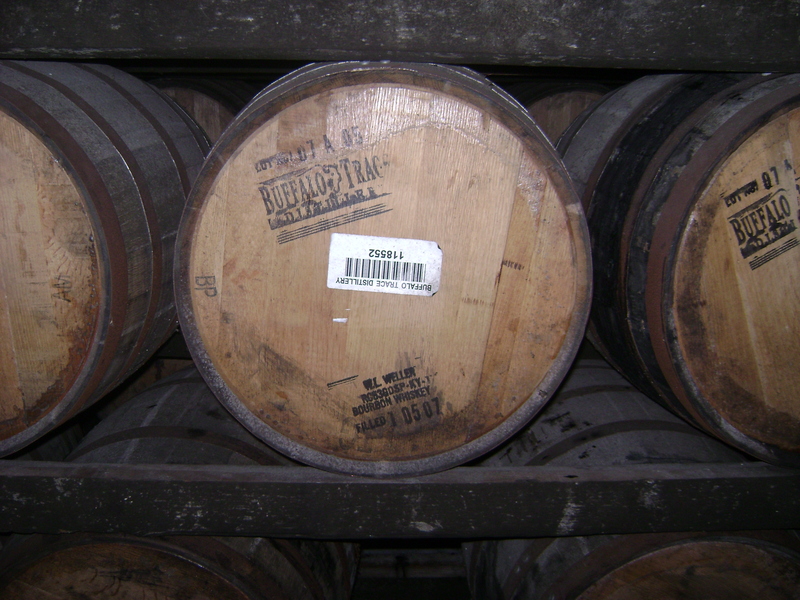 It doesn’t have to be aged at all, but if it is used cooperage is, well, used. Mellow Corn is the most widely distributed and probably best selling aged corn whiskey. In my mind it thus provides a benchmark for judging all other aged corn whiskeys. The only thing from a major producer that comes close to it is Early Times Kentucky Whiskey, which has a similar mashbill and is composed of whiskey aged in new and used barrels. Mellow Corn far outclasses Early Times. Comparing it to a bourbon is not helpful, in my opinion, because that’s not what it is. 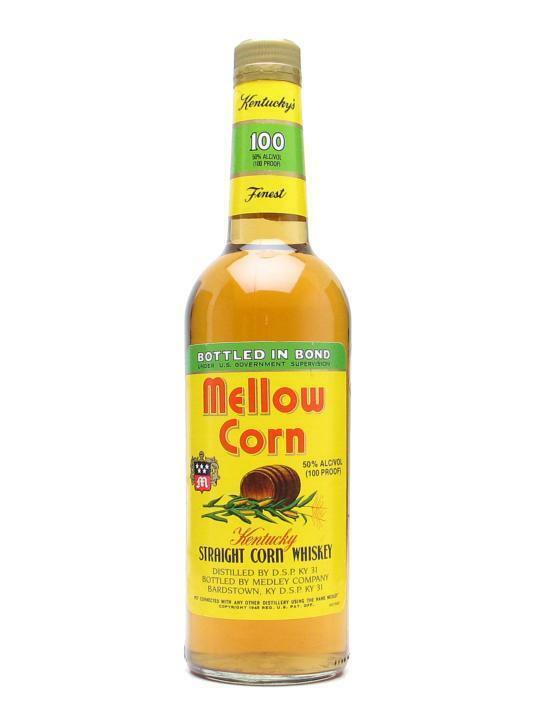 Mellow Corn is a corn whiskey and should be judged for what it is, not what it isn’t. Before I finish, I should mention that I love the campy, mid-century label on this whiskey. Loads of praise to Heaven Hill for not updating the label on this one. OK, I’m starting to ramble. Mellow Corn BiB is recommended. 1. Dark copper, long, thick legs. 2. Burt orange, long, fairly thin legs. 1. Alcohol, oak, caramel, cumin, crushed red pepper. 2. Peppermint, lemongrass, tomatoes, ginger. 2. A little thin. Mild, some mint and orange. 1. Hot, but fading to sweet caramel with a hint of oak. 2. Warm, but not too hot. Some light vegetal notes as it fades slowly. The Bourye is from a bottle I split with a friend, but I failed to record the batch information. At any rate, the differences between these two whiskeys are pretty stark. The Bourye is well-balanced and an enjoyable sipper. It has plenty of spice, but balanced out by caramel (presumably from the bourbon) and oak (presumably from the 16 y/o rye in the mix). I have seen it on shelves recently, but in most places it has long since sold out. It was pricey, and the remaining bottles will be even pricier now, but it is very well done and there’s nothing not to like. Bourye is recommended. Son of Bourye was really awful when I first opened it. It was like drinking tomato ketchup. It has settled down in the bottle since then, but it is still mediocre. Some apparently enjoy sour, citric notes in their bourbon. I don’t. The whiskeys in the mix are very young and it shows. The young high rye rye, overwhelms everything else. If this whiskey were $20 cheaper, it might earn a mild recommendation as a change of pace and a decent mixer. Its price, around $40, puts it into the sipper category. As a casual sipping whiskey, it fails. 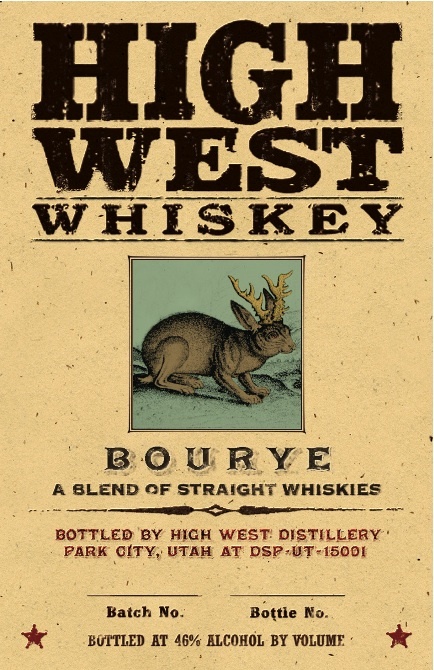 I find it hard to recommend Son of Bourye compared to its competition in that range such as Elijah Craig, Knob Creek, or Wild Turkey Rare Breed. Not recommended. Thanks: To Dustin for getting me this sample! Appearance: Shiny copper with a thick, husky legs. Nose: Butterscotch candy, sweet cream butter, sharp wood notes appear but then fade (small barrel syndrome strikes again! ), alcohol. On the palate: Full-bodied & sweet. Caramel corn, butterscotch pudding, almond extract, malt. If I didn’t know better I’d say I even tasted a bit of sherry. Finish: Hot and sweet with a strong Highland accent. Parting Words: This is the most Scottish American malt I’ve ever had. It is strongly reminiscent of inland Highland Malts with their pure creamy malt characteristics. This is particularly true in the finish. What’s perhaps the most remarkable about this whiskey is how much it changes after being poured. I tasted it in a Riedel Single Malt glass and I felt like every time I took a sip I had to go back and re-write my notes. The Caramel Corn/Butterscotch notes eventually take the lead and it’s for the best. Balcones is one of the good guys in the micro-distilling movement and this whisky (ey?) is exhibit A. Balcones Single Malt is highly recommended. Nose: Light banana scent, corn syrup, papaya, nail polish, touch of wood..
On the palate: Light and sharp. Nail polish, clove, maple sugar, bit of anise. Finish: Hot and harsh. Bitter clove, acetone, not much else. 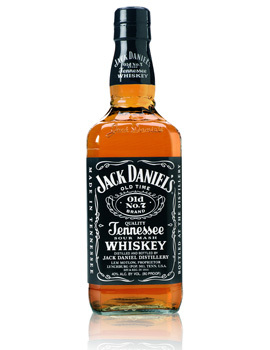 Parting words: Jack Daniels is the best-selling brand of whiskey in the world. I have trouble figuring out why. It is fairly easy-drinking with some spice and sweetness. There is not much else going on here, but what is going on is pretty unpleasant. The special charcoal mellowing process Jack (and George Dickel) goes through is supposed to remove many of the harsher congeners found in bourbons of the same age, but there were still plenty left over. I didn’t bother to try it in a manhattan or anything like that, but I did try it in its most popular applications: Jack and Coke and Jack and Ginger Ale. It does very well in both these drinks. The cola smoothes out the rough edges, but there is enough there to (barely) taste the whiskey inside. The ginger ale complements the spice and fruit notes, and covers up the embarrassing nail polish ones. As a bargain brand, it doesn’t stand up too well to the competition. It’s well over $20 here in Michigan. Not good value for something of this quality at 80 proof. There are seasonal editions of Jack Daniels Old No. 7 that come out at a variety of proofs and one dedicated to salesman Angelo Lucchesi at 90 proof, replicating the proof of Jack when he started working at the company in the 1950s when Brown-Forman purchased it. That one is only a couple dollars more and probably a better bargain if you enjoy Jack Daniels. At any rate, I’ve had worse, but not at this price. Jack Daniels Old No. 7 Tennessee Whiskey is not recommended. Appearance: Copper with thick clingy legs. Nose: Alcohol, whole wheat bread, raisins. On the palate: Medium-bodied, dry and subtle. Raisin toast, buttermilk biscuits, shortcake. Finish: Slightly fruity, a little cinnamon, then fades softly. Parting words: Bernheim Original came into being when Heaven Hill took over the Old Fitzgerald brand of wheated bourbons. For the first time in history, Heaven Hill was working with wheat, so why not try something different? They decided to name it Bernheim to honor the founder of their new distillery (or at least its immediate predecessor) in Louisville. If you’re ever in Nelson County, Kentucky, you can see I.W. and Mrs. Bernheim’s graves in the Bernheim Forest, a beautiful arboretum on land donated by the man himself. My tasting notes are simple tasting notes because this is a simple whiskey. This is not a bad thing, but before you drink this keep that in mind. 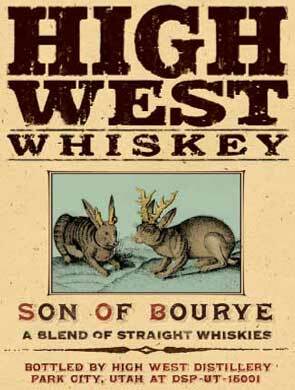 Rye whiskey has loads of flavor and character because of all the flavor rye brings to the party. Wheat and Corn have less flavor so Corn and Wheat whiskeys have less flavor. Bernheim Original is the only straight wheat whiskey being made by a major distiller, so there’s not much to compare it to. 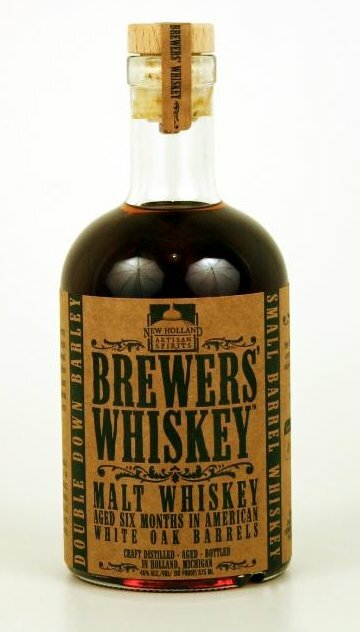 The whiskey to compare it with, in my opinion, is one of Heaven Hill’s aged corn whiskeys like Mellow Corn or Dixie Dew, rather than a wheated bourbon. The subtle, simple flavors of an aged corn are similar to the simplicity of wheat whiskey. Bernheim Original works in Old Fashioneds and Manhattans, but some of its more delicate flavors can get lost. It works best as a refreshing summer afternoon sipper. And it’s at a reasonable price. 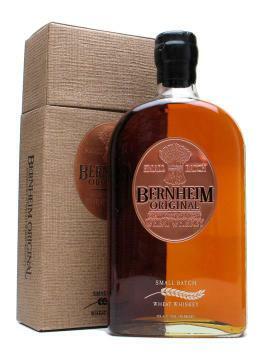 Bernheim Original is recommended. Appearance: Copper with slow legs. Nose: Young, sharp, small barrel, woodsy notes with a little bit of hardwood smoke and sweetness. On the palate: Medium-bodied and sweet. With a bit of water, the sweet smokey wood flavors come through. A little cassia and nutmeg lurking somewhere in the background too. Finish: This finish is where the smoking process pays off. The beech and cherry wood smoke give Triple Smoke a sensual, dare I say hedonistic finish. The peat, which only shows up in the finish, provides a pleasant, floral counterpoint to the other woods. The smoke lingers in the mouth for a very long time, taking on some tobacco notes before gently fading. Parting Words: This is a very well-executed whiskey. The chocolate nougat notes of a typical American Malt are there, but they’re the O-line to the QB/TE/WR combo of the beech, cherry and peat smoke. Yes, I’ve been watching a lot of football recently. My only disappointment with Triple Smoke is the nose, which has a definite case of Small Barrel Syndrome. It’s sharp and unappealing, but the taste and finish more than make up for it. 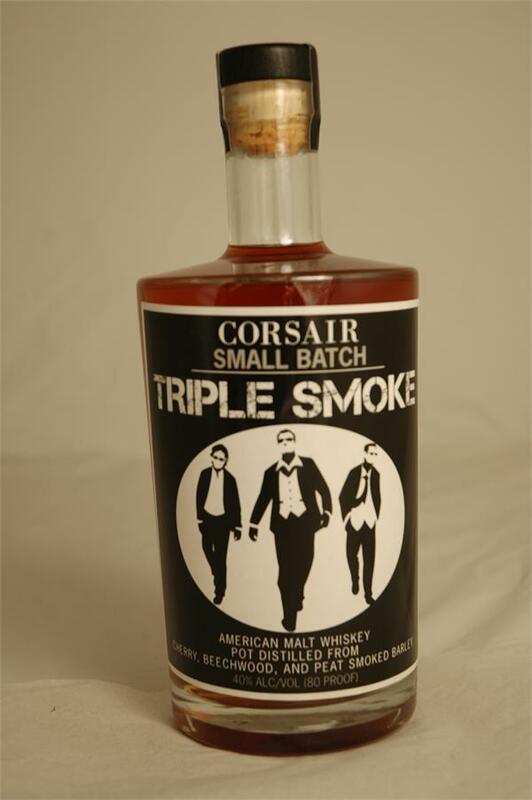 Triple Smoke is not widely available, so next time you’re in Chicago, Kentucky or Tennesee, pick one up. I thought about trying it in some cocktails but it’s so tasty neat I couldn’t bear to. This is exceptional American malt in every sense of the word. Highly recommended. Appearance: Burnt orange with long sticky legs. On the Palate: Full-bodied and sweet upon first entrance. Heavily spiced mincemeat pie, and then red wine chocolate truffles dusted with Dutch process cocoa powder. Yes those exist. Finish: Hot, but then a dry chocolaty sweetness that too quickly fades. Mixed: A highball of Zeppelin Bend and club soda on the rocks is pretty good, even if it does taste a bit like a watered down Choc-Cola. Other classic Scotch cocktails work well, too. A rusty nail has a nice bitter, spicey note that balances out the honey liqueur nicely, and a Rob Roy is quite good, even if it’s not quite sure if it’s a Rob Roy or a Manhattan. Parting Words: American straight malt whiskey is has not been very popular historically, and as a result has not been made much by American distillers. Like a rye or bourbon, American malt must be aged in new charred oak barrels and must have a mash bill of at least 51% of the grain in question, malted barley. But where Big Whiskey saw no reason to tread, a few micro distillers saw an opportunity. Stranahan’s in Colorado led the way, followed by (among others) Pritchard’s in Tennesee, and New Holland in Holland Michigan. Bourbon and rye still excite me more than any other American whiskeys, but of the American straight malts I’ve tried, Zeppelin Bend is the best. This is another case in which a micro is doing what a micro should be doing: offering interesting spirits that the big boys don’t.